Best known for high-performance motorcycles characterized by large-capacity four-stroke, 90° V-twin engines, with a desmodromic valve design. 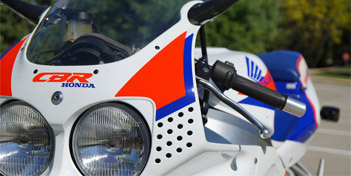 Founded in 1946 by Soichiro Honda, manufacturers motorcycles for all riding styles. Launched the 903cc DOHC four-cylinder Z1 in 1973, and ignited a powder keg of excitement for high-performance liter-bikes that has never abated. When Suzuki launched the original GSX-R750 in 1985, the company set the template for modern sportbikes that still rocks today. 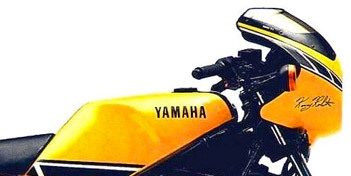 First of the Japanese manufacturers to race internationally, Yamaha has helped push the performance market forward ever since. Rolling proof that less is really more. Honda has seen the enemy. And it is weight. Cycle World has seen what Honda’s vision has wrought. And it is a dream come true. 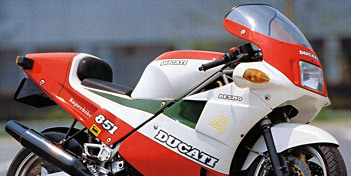 Here's a hypothetical situation for you: Let's say you were to take a modern Superbike, one capable of qualifying about, oh, wheel-to-wheel with the likes of Bubba Shobert's Honda and Jimmy Filice's Yamah, and you entered that bike in Daytona Speedweek's Pro-Twins 50 mile race. And let's say you put a former 500cc world roadracing champion on it. Would that be a fair matchup? Would you expect the bike to have any real competition in the race? Racetrack magic hits the street. Winston Churchill may not have known much about motorcycles, but he was a master at motivating people. Once for example, to rally his fellow Englishmen during the early bleak days of World War II, he told them that they could "win the world through sacrifice." It's fast, it's nimble and, best of all, it's thrilling to ride. Specification sheets display lots of useful numbers, but those numbers don't always tell the	whole story. Sometimes, a spec sheet needs yet another number, one that indicates how much fun a bike is to ride. And on a fun scale of one to 10, Yamaha's RZ350 rates a perfect 10. 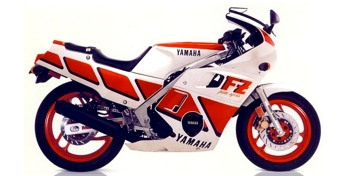 A collection of articles, images, information, and statistics from the greatest sport bikes of the 1970s, '80s, and '90s. © 2019 Sanctum Cycle. All rights reserved.